1. Balancing your skin's ideal pH level. 2. Refining your skin tone. 3. Keeping the elasticity of pores. 4. Deep cleansing your pores. 5. Minimizing the appearance of your pores. 6. Controlling a large amount of your sebum production. 7. Moisturizing the skin both from the inside and outside. 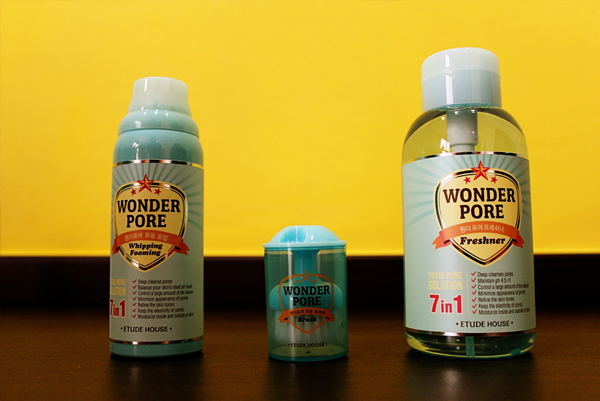 Meet the new additions to the Wonder Pore family! 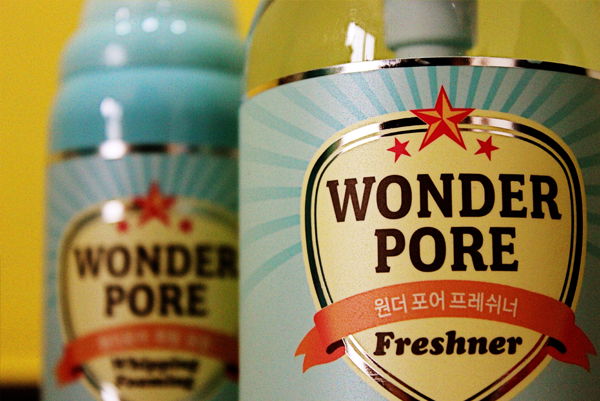 The Wonder Pore Special Set houses the Wonder Pore Whipping Foam and Wonder Pore Freshner. This duo prevents the production of excess sebum, the slackening of skin's elasticity, dehydration and the enlargement of pores. 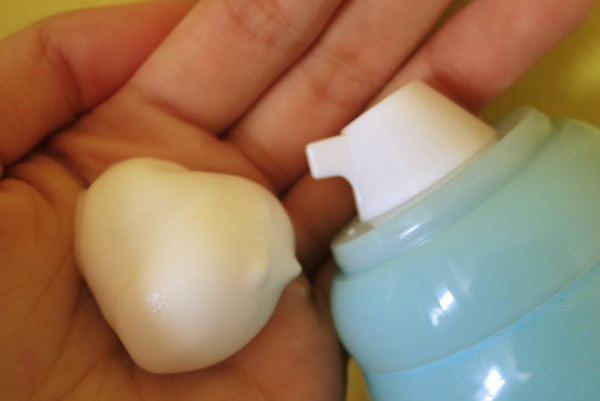 The Wonder Pore Whipping Foam is a dual-use product; it can be used as a cleanser or a facial pack (mask). It 'supplies carbonated pore cleansing and moisturizing and tightening care'. To use it as a cleanser: Shake the bottle before use. Pump out the foam and using either the facial brush provided or your hands, massage onto damped skin gently in circular motions. Rinse off with lukewarm water. To use it as a facial pack: Shake the bottle before use. 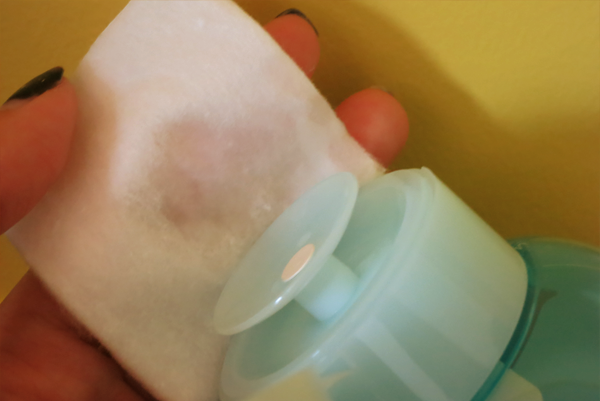 Pump out the foam and apply a generous amount to damped skin and leave on for 1 to 2 minutes. Massage gently in circular motions before washing it off with lukewarm water. Use it 1 to 2 times a week. The Wonder Pore Freshner is a toner that suppresses demodex production and restore the pH balance of your skin. I'm not sure if I got this right but I think the demodex here refers to tiny parasitic mites that can be found living in or near hair follicles on our skin and they cause acne and other skin problems. This is the first time I am hearing about demodex and it scares me quite a bit. 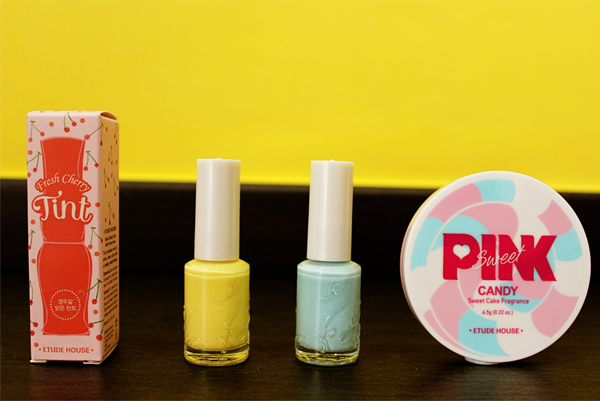 But yay for Etude House for taking care of it! This toner is to be used after cleansing. 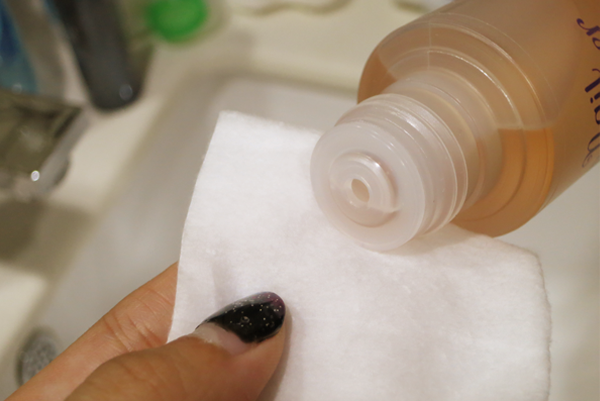 Soak a cotton pad with the toner and just wipe your face with it, from the inside to the outside. Pat the toner in and let your skin soak up all its goodness. Korean ladies are big on facial mists. Etude House recommends pouring a little of this Wonder Pore Freshner into a facial mist bottle so that you can carry it around and spray it on throughout the day! The bottle was a bit of a puzzle to me initially because I have not seen such a nozzle (Okay, am I a country bumpkin?!?). 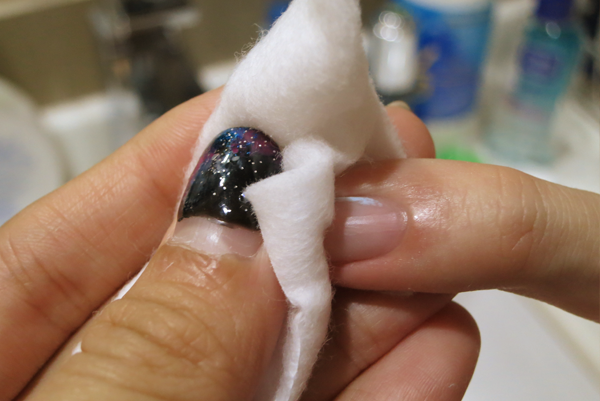 All you need to do it to place your cotton pad on the top of the nozzle and press down. Pretty useful for a bottle so huge! The toner refreshes my skin and there is no stinging feeling. Do take note that there is alcohol in it, so it should not be used that frequently if you are going to use it as a facial mist as well. 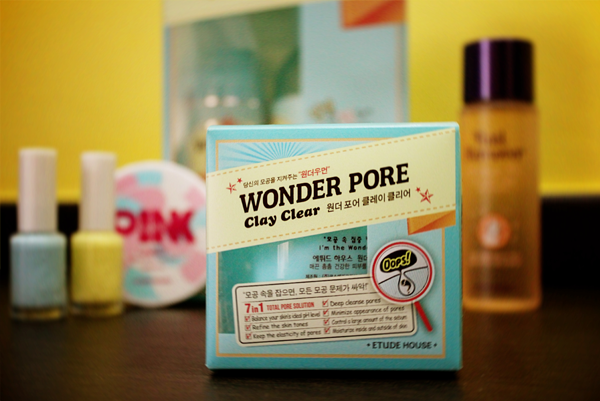 Last but not least, the Wonder Pore Clay Clear. 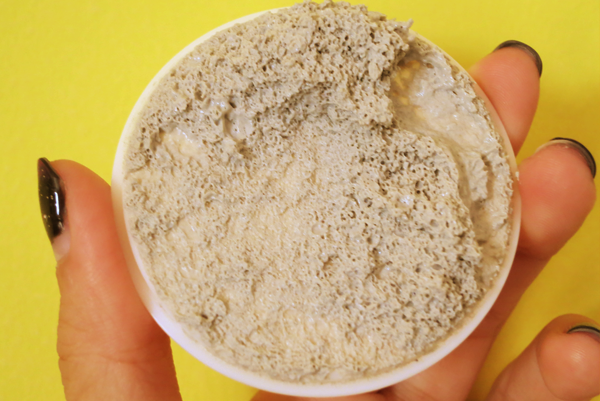 This mask is formulated with pure Glacial Clay and an oxygen-delivering 'Carbonated' ingredient. It deep cleanses your pores, removing dirt, oil and any impurities to reveal skin that is healthy and clean. The clay is to be applied on the face with the spatula provided. Avoid the areas around the eye and mouth and leave the mask on for 15 to 20 minutes. Thereafter, wask it off with warm water. Use once or twice a week. 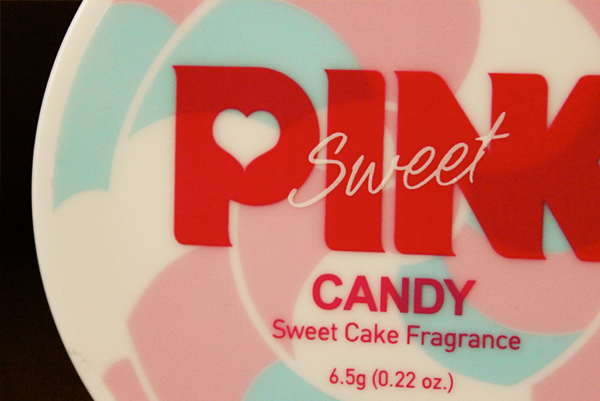 This Pink Candy Sweet Cake Fragrance is actually perfume in the form of cream! Dab a little on your wrist and you will be smelling sweet like a baby! 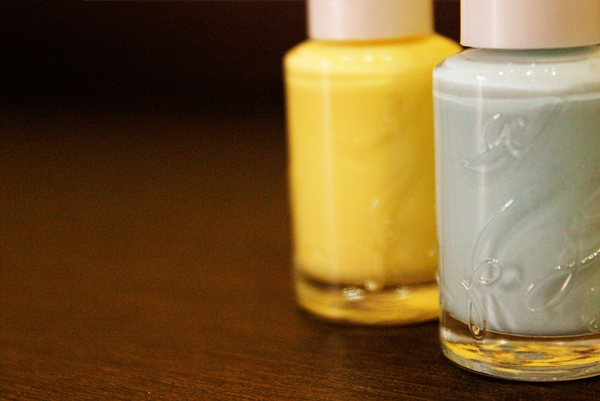 Here are swatches of CBE101 (Pastel yellow) and CBL601 (Pastel blue)! 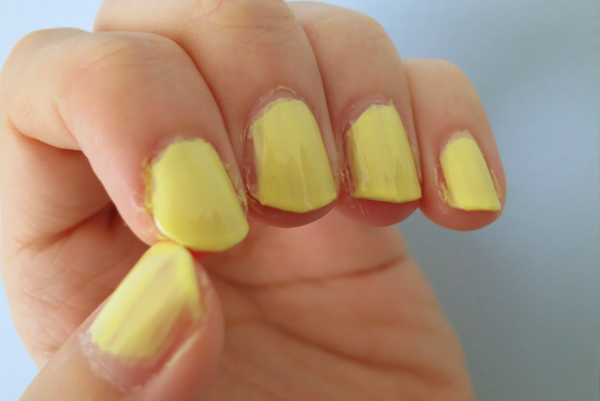 These nail polishes need at least 2 coats, otherwise they are a little streaky. 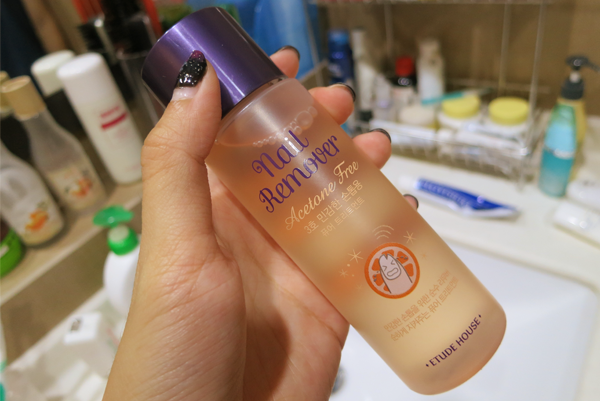 And the last item for the day... Etude House's Acetone Free Nail Remover (#3 Sensitive Nail) (I do think they mean 'Nail Polish Remover'.). This nail polish remover contains orange oil to care for weak nails. This nail polish remover is pretty awesome. All I used were 2 cotton pads, 1/2 soaked with the remover, and I got all the nails clean! Usually, I have to use like 4?